Wow! 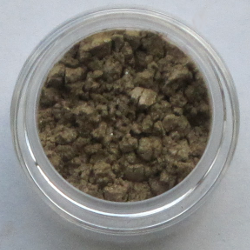 Just rediscovered my Beauty Bliss "Sand" eyeshadow. Used it today with a mineral eyeliner cat-eye. It's perfect. I'll probably do this combo for the next two weeks at least! If not all spring and summer (with the exception of a smoky eye done with STORM [please bring it back! I'll buy at least 3!] or my homemade CHARCOAL [2 parts onyx, 1 part patina, 1 part chocolate]). Thought you'd be amused by my eyeshadow ramblings. Sand is a beautiful neutral beige with black undertones.